Well, the spell of perfect weather is officially over. The Dutch, who were obviously feeling homesick, decided to bring some of their North-Sea conditions with them to Chilbolton. 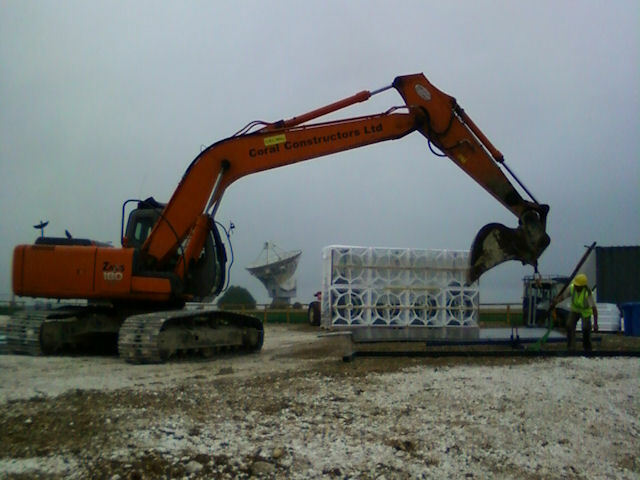 In the pouring rain, Stuart Keenan prepares the lifting rig for the next tile antenna. 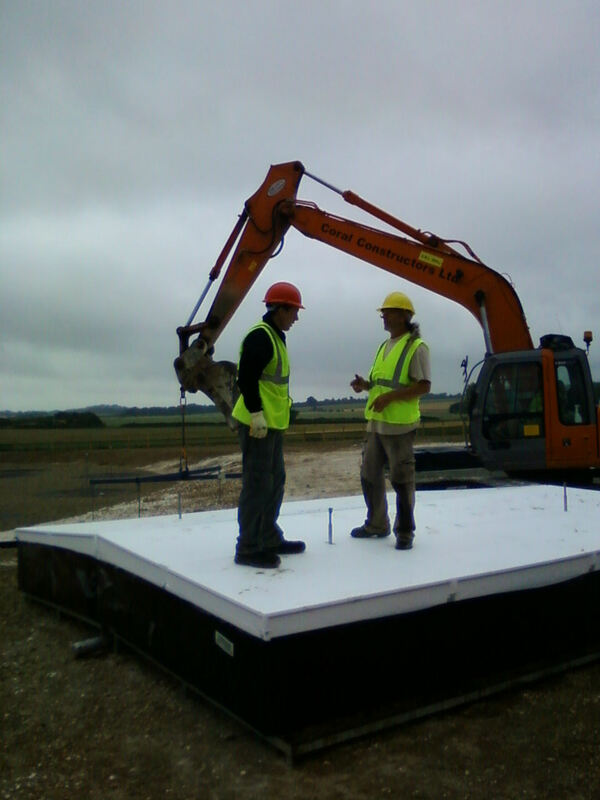 Alex Escudero and Stuart Keenan demonstrate the strength of the polystyrene tiles. 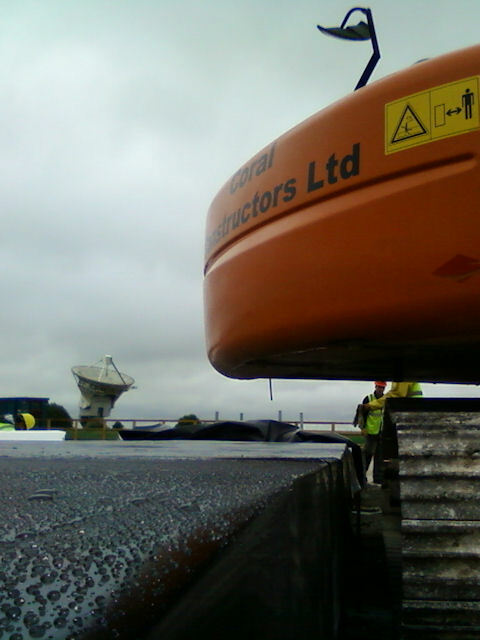 However, it is suspected they were preparing to use the antenna module as a raft in the event of rising flood waters. 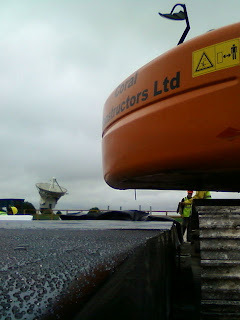 After another downpour, this photograph of droplets on an HBA tile was taken. The 25m dish in the background is apparently the world's largest weather radar... obviously enjoying the conditions too!